The home features a rustic timber facade typical of Tudor-era cottages in the English countryside—though this Southern California home was built in 1957 and was recently remodeled, the listing says. She bought the home through a private trust in 2013 for $2.125 million, according to property records. She used the same Inshallah Trust when she filed a trademark application for her iconic stage name with the U.S. Patent and Trademark Office. "Modern Family" actor Ed O’Neill and wife, actress Catherine Rusoff, previously owned the home from the late 1990s through the early 2000s, property records show. The modern interiors feature open living areas that the singer has decorated with eclectic throw carpets, leather seating and carved wooden furniture, according to the listing images. The 3,000-square-foot home features high ceilings, wide-plank hardwood floors and exposed ceiling beams. The master bedroom has two fireplaces and a cozy sitting room lined in bookshelves. 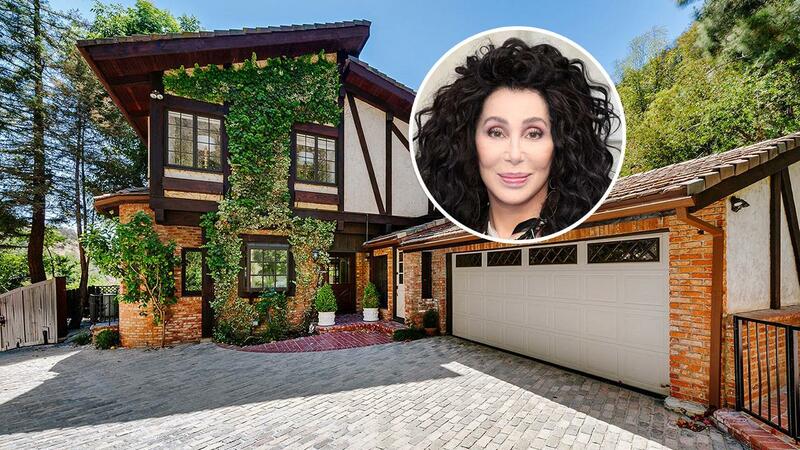 Cher’s house on a road off of the celebrity-filled Coldwater Canyon area, affording it ample privacy.